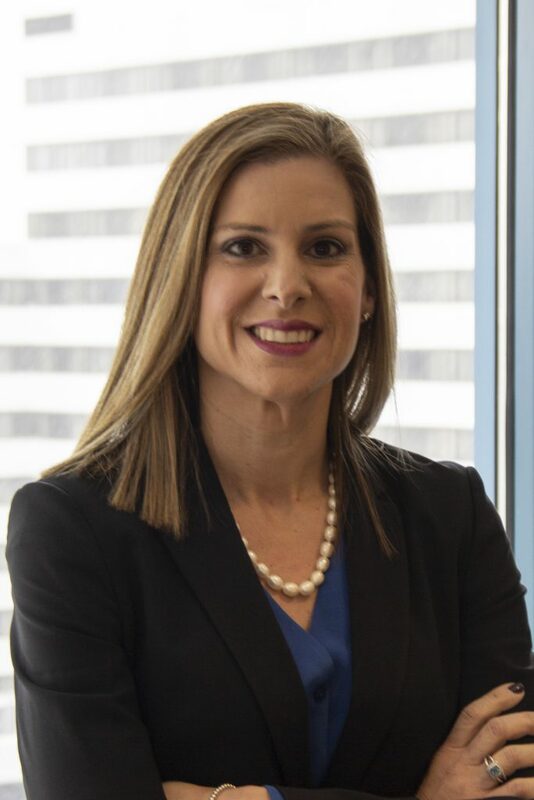 Pilar C. Nichols is a Principal attorney in Offit Kurman’s Family Law Practice Group where she has extensive trial experience and practice in various areas of Family Law. Her concentration focuses in the litigation and settlement of divorce, child custody and visitation, mediation, spousal and child support, property division (including complex property issues and those that require business valuations), negotiating and drafting of separation agreements, guardianship proceedings, and adoptions. Her niche is in the area of domestic violence where she has extensive experience in representing clients in (and has presented on) domestic violence protective orders and any accompanying criminal charges. Ms. Nichols has experience in divorces involving the spouses of international organizations, such as the World Bank and Inter-American Development Bank. She is regularly court appointed to represent children in contested custody cases as child counsel. In addition, Ms. Nichols is a trained mediator, having completed the general mediation training and both the property division and custody training. In addition to her family law practice, Ms. Nichols, a former criminal prosecutor, practices criminal and traffic defense, including appeals at all stages of post-conviction. Prior to joining Offit Kurman, Ms. Nichols was a founding partner of the law offices of Tomes, Salter, Nichols & Gomez, LLC, in Montgomery County, Maryland. Prior to that, she founded The Law Offices of Pilar Nichols as a solo practitioner and private criminal defense attorney, having previously worked for a private law firm under one of Montgomery County's top criminal lawyers. Before private practice, she served as an Assistant State's Attorney for Prince George's County and as Legislative and Regulatory Counsel for the National Association of Telecommunications Officers and Advisors. Ms. Nichols received her Bachelor of Science Degree from the Pennsylvania State University in State College, Pennsylvania. While a student at Penn State, she studied at the Universidad de Salamanca in Salamanca, Spain where she obtained her minor in Spanish. She then attended The Catholic University of America, Columbus School of Law in Washington, DC, where she earned her Juris Doctor and a specialized certificate from the law school’s Institute for Communications Law Studies. While in law school, Ms. Nichols served on the executive board of the Student Bar Association, as a writer for the CommLaw Conspectus: Journal of Communications Law and Policy. She also earned the “Extra Mile Award” for outstanding service to the law school and a specialized certificate from the law school’s Institute for Communications Law Studies. Ms. Nichols is a member of the Bar Association of Montgomery County, previously serving on the bar's executive committee and currently serving as a co-chair of the Family Law Section and a member of the Judicial Selections Committee. She has been a Barrister on the Montgomery County Inns of Court since 2011. She is a former MSBA Leadership Academy Fellow and currently serves on the Leadership Academy Committee. Ms. Nichols is a current board member and past president of the Maryland Hispanic Bar Association and continues to serve on the association's Judicial Nominations Committee. In addition to her law practice, Ms. Nichols is an Adjunct Professor at The Catholic University of America, Columbus School of Law where she teaches Managing A Law Practice. She is also standing faculty at the Judicial College of Maryland where she presents on various family law topics to Judges as part of their training. Ms. Nichols is fluent in Spanish and resides in Montgomery County with her husband, two children and lovable Rottweiler, Guinness. 2019, included in "Top 50 Women Maryland Super Lawyers List"
2019, included in "Top 100 Maryland Super Lawyers List"
2016 - Present, included in "Maryland Super Lawyer List"
In 2010, Mrs. Nichols was among 15 Fellows appointed to the Maryland State Bar Association Leadership Academy, an exclusive 12-month program designed to assist attorneys to become leaders and offering opportunities for future leadership roles in the MSBA.